[titlebar]Day One: Outdoor Adventure[/titlebar] Get ready for the outdoor adventure of a lifetime just around the corner on the country’s second largest freshwater lake, Lake Okeechobee. Covering more than 700 square miles, Lake Okeechobee has something for everyone. If you are looking for a relaxing day of bird watching or want to check out all the wildlife on the hiking and biking trails, Lake Okeechobee is a nature lover’s dream. Get your feet wet and go boating or swimming before enjoying a lakeside picnic in a private pavilion. You can make a day of all the beauty Lake Okeechobee has to offer. Enjoy Central Florida at its best! View Larger Map[titlebar]Day Two: Hutchinson Island[/titlebar] Rev up the engine and head for the sun as you spend the day on Hutchinson Island. Take your pick: fine dining or a casual pub with ocean views, Hutchinson Island has a little of everything to please any palette. After your meal, remember to take a stroll on one of the many Atlantic beaches. [titlebar]Day Three: Seminole Casino Brighton[/titlebar] At Seminole Casino Brighton, you will discover thrilling and rewarding gaming, dining, and fun. Try your luck at slots, bingo, poker, and more. When you’re having this much fun, you’re bound to get hungry. Whether it’s just a snack or even breakfast, the array of options is sure to satisfy. Josiah Restaurant menu features a vast selection of appetizers, salads, burgers, sandwiches, and mouthwatering items like catfish and succulent porterhouse pork chops on the dinner menu along with numerous nightly specials and delectable desserts; and don’t forget the all-you-can-eat salad bar. View Larger Map[titlebar]Day Four: Historic Old Stuart[/titlebar] Enjoy Historic Old Stuart. Over 50 small shops and curio stores outstanding dining and entertainment in this 14 square block area, experience one of a kind art, jewelry, clothing and gifts for any occasion. Bordered by the St Lucie River Walk this historic area is a don’t miss on any trip to Southern Florida or a sunset cruise aboard the vintage Nantucket Schooner. View Larger Map[titlebar]Day Five: Kissimmee Prairie Preserve State Park[/titlebar] Now it’s time to visit Florida’s hidden gem, Kissimmee Prairie Preserve State Park. This 54,000 acre preserve protects one of the largest remaining stretches of Florida dry prairie, home to an array of endangered plants and animals. While driving the five-mile-long road into the preserve, visitors can enjoy sweeping vistas of grasslands reminiscent of the Great Midwest Plains. 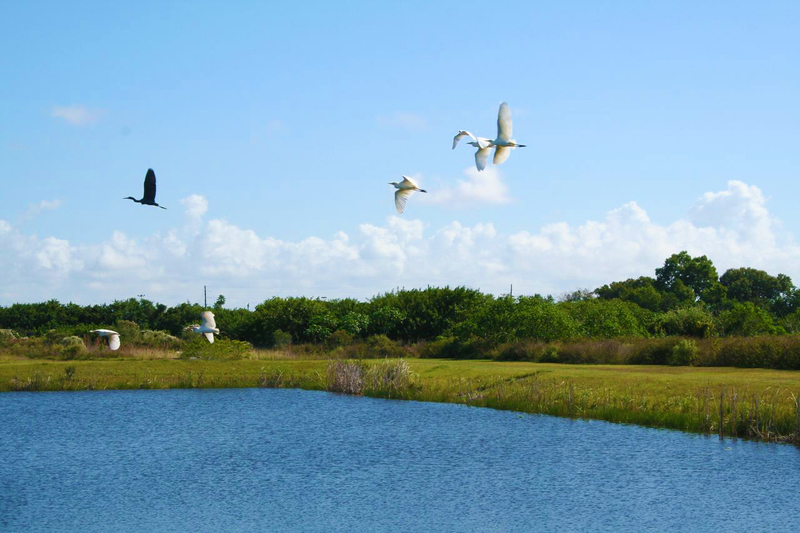 The preserve offers excellent seasonal birding opportunities and is home to the endangered Florida Grasshopper Sparrow, as well as the Crested Caracara and Burrowing Owl. Priceless photo opportunities and memories await you at Kissimmee Prairie Preserve State Park. View Larger Map[titlebar]Day Six: Fort Myers[/titlebar] Grab a new hat, towel, and sunscreen and head to the paradise on the Gulf, Fort Myers. With miles of white sandy beaches, Fort Myers is the perfect spot to enjoy the warm ocean breeze and let the sand soothe your toes. Fort Myers is known for its many shells and priceless sunsets, activities to enjoy while relaxing on the beach. Enjoy an oceanside massage, parasailing, or a stroll on the pier; whatever you are looking for can be found in Fort Myers. View Larger Map[titlebar]Day Seven: Indian Wood Country Club[/titlebar] Indian Wood Country Club is a historic treasure dating back to the 1920’s – its old course being annually ranked in the top 100 classic golf courses in America. Silver Palms offers discounted rates at this fine golf course, ask the front desk for more details.